It’s not every day the President of the United States makes a stand on using behavioral insight to improve service delivery. If as suggested, understanding behaviors enable providers to deliver more effective services to the American people, how then will financial advisors introduce this approach with their clients? It’s where people are probably at their most vulnerable when discussing their finances. It’s where people are liable to make ill-thought through decisions under pressure. It’s where people are likely to revert to inherent behavior and bias. Francesca Gino, a professor at Harvard Business School (which is a faculty affiliate of the Behavioral Insights Group at Harvard Kennedy School), writing in the Harvard Business Review says of the Presidential Executive Order.. This order reflects the evidence that scholars across a variety of fields – from behavioral economics to psychology to behavioral decision research – have accumulated in recent years that people often fail to make rational choices. Across a wide range of contexts, we often make foolish decisions that go against our self-interest. It’s a fair comment – people fail to make rational decisions in many areas of their life. Much work has been undertaken in terms of how people react and make financial decisions when under pressure. If financial advisors are to play their part in delivering this Presidential Executive Order, then understanding the core hardwired behavior of clients is foundational. Clearly, since the Whitehouse announced the use of behavioral insight in delivering services, helping people make a better life and financial decisions are no longer just going to come from smart strategies, new innovative products, improving technology and better information. Rather, it will be driven by understanding the behavior of those people and how they make decisions. In the financial planning context, closing the gap between a clients’ true financial behavior and the rationality required to make sound investment decisions requires a deep understanding of their financial personality. 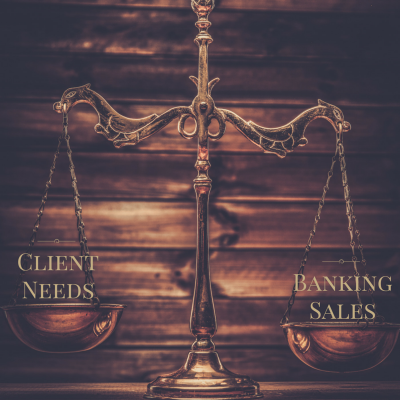 Therefore, gaining objectively measurable, reliable and predictive behavioral insights about how a client will make financial decisions before providing a product or solution is critical. Further, applying those insights in a Behavioral Investment Policy Statement will provide advisors with a customized framework to guide their clients in making decisions and minimize the impact of emotions. The Presidents Executive Order has wide-reaching impacts for service delivery in every area of business. It has brought to the forefront of American business the need to understand behaviors and how their customers/clients make decisions. Research in this area of behavioral science has been around for a very long time. But now is the time to put the research into action in every field of business, government, and life.